After the adverse effects of the Eurozone crisis, Ireland has been on a growth spree since 2013. Last year was no different – in fact, with a GDP growth rate of 7.8%, Ireland became the fastest growing economy in the EU. The EIU ranked Ireland 13th out of 82 countries on its business environment index outlook for 2017-21, which means that the Irish economy will continue to be a favourite among foreign investors interested in Europe. The economy has largely benefited from the positive macroeconomic policy changes, despite a rather gloomy outlook for the EU, considering the effects of Brexit especially. In terms of policy towards foreign investment, Ireland ranks first alongside Singapore, which will help it maintain its growth trajectory – the European Commission predicts a GDP growth rate of 5.7% in 2018 and 4.1% in 2019. The country increased its personal consumption expenditure rating significantly at 1.9%, as well as consumer spending on goods, as high as 4.6%. Personal income tax exemption options for foreign employees relocated in Ireland. “The euro area is enjoying growth rates not seen since before the financial crisis. Unemployment and deficits continue to fall, and investment is at last rising in a meaningful way. Economic growth is also more balanced than it was a decade ago – and provided we pursue smart structural reforms and responsible fiscal policies – it can also be more durable”. The fact that most of the growth the Irish economy has seen recently is because of multinational companies, makes one wonder if the uncertainties are much too high for investments. 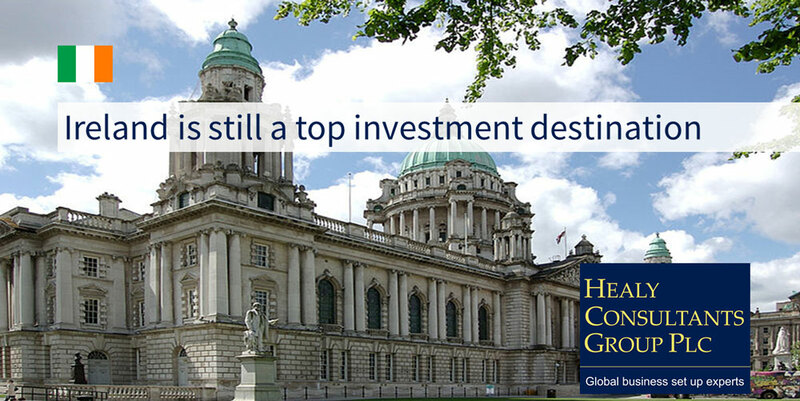 The risks to the Irish growth story are largely external – and mainly from the UK and the US. With the latest soft Brexit talks on the table, it is sure that trade relations and supply chains between Ireland and the UK will largely remain the same. The proposal ensures no trade border regulations on the island of Ireland – which is a much better situation than a stricter Brexit would allow. If, however, the proposal falls through, then trade and export will be extremely cumbersome in Ireland. At this point of time, it is very likely that Brexit won’t damage the Irish prospects, and that Ireland will continue its path of positive economic growth. When it comes to trade relations with the US, the uncertainty increases, with increasing trade protectionism. Given the way markets behave, these costs are already factored in the costs of investments, and even then, Ireland will maintain its path of a strong growth in the near future, and prove to be a profitable business destination for international investors.